The theme of my columns for PA TIMES is that the United States requires a strong and well financed federal government to address a range of difficult policy issues that require immediate attention. I vigorously dispute the Reagan-era mantra that, “government is the problem.” I associate weak economic growth, decaying infrastructure and a decline in global respect for the U.S. as a consequence of decades of concerted, highly ideological efforts to undermine the federal government’s ability to do its job. My perspective on this comes in part from my years of training as a quantitative social scientist. But there is another aspect of my life that is equally important in this regard. During the past year, I have for the first time begun to speak openly about growing up in abject poverty. The basic facts of my experience are common. After my parents divorced, I was raised by a single mother who had not completed college, in a rural area with very limited economic opportunity. I have calculated that from age 12 to age 15, I often lived below the global poverty line (currently $2 per day). At times, I was a recipient of food stamps, Medicaid and cash welfare. I had very little health care until I went to college. I experienced food insecurity, housing insecurity and resided for one year in a structure that had no indoor plumbing. At age 18, a college dormitory at MIT was my 24th residence. When it comes to poverty and inequality in America, no aspect of it is foreign to my direct personal experience. Recently, I have concluded from my training and life experience that the overall direction of “leading edge” social policy research has become embedded in the political process that prevents the federal government from aggressively moving forward to respond to poverty and inequality. I especially am critical of the current emphasis on randomized control trials (RCTs) as the supposed only reliable means for assessing if a social intervention will produce intended outcomes. My critique begins with some important history. When the Reagan Administration came into office in 1981, it moved initially to eliminate many “social safety net” programs that were created under Lyndon Johnson’s Great Society initiatives. But political opposition to Reagan resulted in a compromise that included diverting federal resources into additional research. It laid the basis for the federal government tending to study problems more than trying to solve them and the rubric that social interventions should not be implemented until there was “hard proof” that they would work. Decades later, an entire research-industrial complex exists as a direct result of that Reagan-era compromise. At the heart of this complex is the consensus that RCT is the “gold standard” for evaluating social policies. But RCT is an expensive, time-consuming method with startling limited potential. Most social problems, such as those I experienced as a child, require multidimensional holistic interventions. Policy analysts who have extensive direct contact with such problems understand those interrelationships and can formulate sensible theories of change as the basis for program development and implementation. RCTs require testing each component of a complex intervention separately and often for many years. The impact estimates RCTs produce are often very modest, suggesting very small changes might result from expensive programs. Most importantly, the impact estimates from RCTs have a short half-life. Targeted populations will adjust to new incentives created by limited interventions and the impacts of those interventions inevitably will decay. A counterargument is that, without certification of impacts, much of social policy will result in wasted, ineffectual spending. My position is that this is part of the cost of doing business when responding to poverty and inequality. Effective responses will require complex interventions backed by political will, significant budgets and a tolerance for some inefficiency. Let us not forget that behind all of the statistics about poverty and inequality there are very real people whose lives are suffering. It is not ethical, pragmatic or responsive to tell the poor and marginalized members of our society that the government certainly cannot try to respond to their situation until it has decades of RCT results to prove that such efforts will help. It certainly is not ethical for policy researchers to support an ideology that has hamstrung the federal government for more than 30 years and promulgated the terrible myth that the public sector cannot be a force for positive change in America. I know policy analysts can do much better than that by using our incredible, human capacity for understanding social dynamics and developing responses based on those understandings. Well said. Because RCTs work only at the program level, rather than the whole-system level, they reinforce a programmatic mindset aimed at changing people to fit the system (via training, work requirements, etc) rather than challenging the larger systemic forces that hold poverty in place. Let’s redirect a large chunk of the RCT budget toward studying larger patterns – how other countries have achieved lower poverty rates than the US, and why some parts of the US enjoy lower poverty than others. 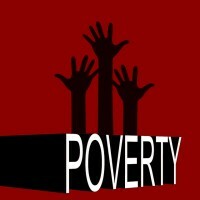 Let’s develop new and better methods for studying each instance of poverty as the product of a complex, interacting system fed (or starved) by politics.